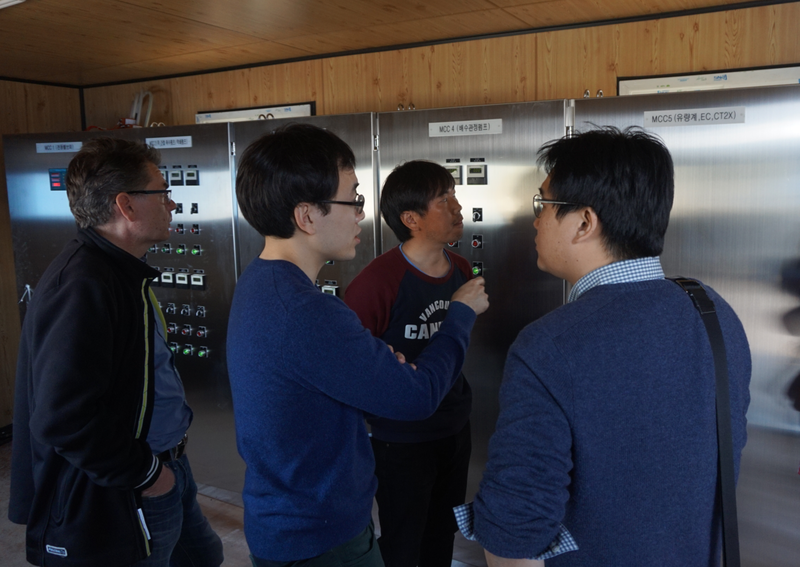 In 2013, Korean Ministry of Land, Infrastructure and Transport launched an approximately 10 million euro project to develop world leading technologies on aquifer storage and recovery (PI: Prof Namsik Park of Subsurface Reservoir Research Center of Dong-A University). Korea Institute of Science and Technology (KIST), a member of Watershare®, is participating in the project with focuses on the water qualities issues related to geochemical reactions (by Dr. Seunghak Lee) and the high resolution density-driven flow model coupled with reactive transport (by Dr. Peter Kyungchul Kang). This project is a unique collaboration among KIST, universities and companies in Korea. The pilot site is located in the delta area of Nakdong River. The infrastructure at the site is presently being installed and the system is already partly active. Infiltration water at the site has two sources, direct river intake and river bank filtrate from the Nakdong River. This water is continuously infiltrated in the subsurface and recovered by a separate set of wells. This pilot is important for further gaining practical expertise on groundwater abstraction and associated hydrogeological and hydrogeochemical processes. From a scientific viewpoint, the Korean pilot is particularly interesting, because of freshwater infiltration in a saline aquifer. This differs considerably from most other running coastal ASR pilots, such as those studied within SUBSOL, where freshwater is infiltrated in brackish aquifers. KIST has agreed to join the SUBSOL project as associate partner. We expect that cooperation between the SUBSOL consortium and KIST will enhance our common knowledge on ASR application in brackish and saline aquifers.